Reaper Miniatures is starting their Bones II Kickstarter in the morning. Thoughts on how high this one will get? Acheson Creations added a new sword to their Super Robot StratoMaxx Kickstarter campaign as well as a whole bunch of new add-ons to the project. First off, I’m excited to announce that Super Robot StratoMaxx now has a sword! Since the earliest concept artwork, I always envisioned this hero as having a sword but I didn’t have anything designed until now! With some HUGE help from my friend Dave at Dave Hartman Designs, I was able to get the components for the blade laser cut so I could assemble and photograph it. Each Super Robot StratoMaxx pledge at the $90.00 mark or higher will receive one sword (kk0043) in addition to the other promised items. 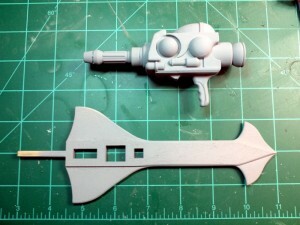 In addition to the sword, I have designed a pistol for the Super Robots. This pistol is a featured Add-On of an extra $8.00. This is a Kickstarter-exclusive price! Both the pistol (kk0042) and the sword can also be purchased separately as part of our regular Add-Ons options if you pledge $13.00 or higher. 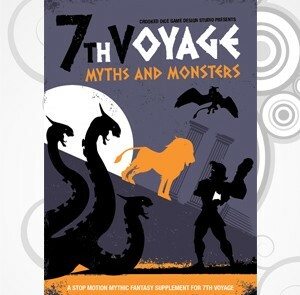 Crooked Dice now has their Myths & Monsters supplement for 7th Voyage available over in their webshop. The tales of epic heroes Herakles and Odysseus form the core of our new 40 page 7th Voyage PDF – Myths and Monsters. Or play a ferocious monster from legend or take up your weapons to hunt them down. Author of 7th Voyage Matt Gibbs has worked endlessly chained to a rock, so the PDF is available NOW from our Store, priced £5. Sally 4th has some new pre-painted 10mm scale castles available over in their webshop. The focus for the last couple of months at Sally 4th has been on developing techniques for the production of pre painted kits. We believe we have found it and this week we start the process of making all of our castle models available as either unpainted kits for customers to paint themselves or as pre painted kits which simply require assembly and flocking to get them into play. We have developed 3 colours for castles, sampled from photographs of the real thing, namely Granite, Limestone & Sandstone. Models photographed castles in the Limestone finish. Hand Cannon Online has posted episode 64 of Removed From Play up online for your listening pleasure. 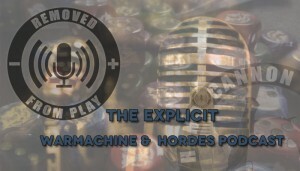 The 64th episode of REMOVED FROM PLAY. Hosted by Charles (Omnus), and Emanuel (Bloodrath). This episode has the special guest Michael Puryear of Texas Renegades. We have some great discussion about Legion vs Menoth match ups. Mike also shares his thoughts on some of other Menoth lists in the WTC. It was awesome having Mike join us. I think you guys will really enjoy the cast. Ghost Train Games posted up a green for the Improved Mechanical Locomotive Steampack. Looks like a fun way to spend an afternoon or to make the morning commute not so annoying. Based on the genius work of Doctor Atticus Johann Weintraub, the IMLS (Improved Mechanical Locomotive Steampack) are designed and built for speed. It turns foot soldiers into a cavalry force allowing the to run as fast as a horse and jump great distances. Albeit much more expensive to field than the animals, they provide a smaller and harder to hit target to enemy fire, are more reliable as it depends only on the man and their jumping capacities provide a key element to assault enemy elevated positions and fortifications. They can only operate small firearms, such as pistols and shortened shotguns, as they need a free hand for the controls but are lethal in the short distance, closing quickly before the muskets and rifles can take tax of their range edge. 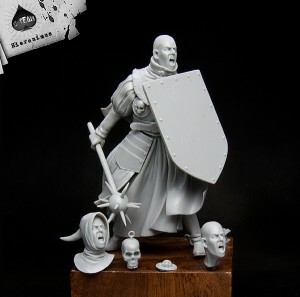 Terrible Kids Stuff has released their new Hieronimus the Cleric miniature over in their webshop with several different heads available for your customization. Battlefront is another company out there helping your caffeine hands. They've got some new Israeli decals available. The Suez Crisis was the Israeli's first experience of large-scale tank operations and it was quickly realised that if markings were not legible under normal conditions they were sure to be missed in the heat of combat. By the time of the Six-Day War broke out in June 1967 the Israeli Defence Force had significantly increased the size of vehicle markings in an attempt to make them more recognisable to friendly units. 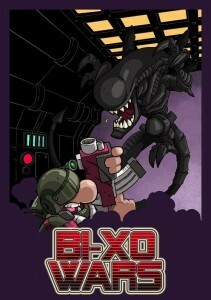 Bi-Xo Wars is showing off the cover for their upcoming rulebook. Bi-Xo Wars rulebook frontpage, concept by Nacho Fernandez. Ink and color by Sergio Alonso. Critical Mass Games is having a special doing on their MaskFX painting system. Deals are also available on the rest of their range of products. Critical Mass Games has added 3UP deals on the entire MASKFX range. Additionally until October 31st 2013 we are offering free shipping on all orders over £50.00 across all Critical Mass Games Product ranges. The 3UP deals contain 3 sheets of MASKFX and are available on the online store, and provide a 20% discount on the individual sheet price. 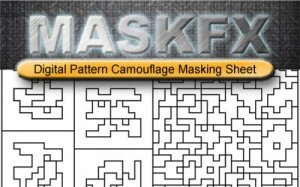 MASKFX is a simple to use Camouflage Masking system allowing you to create intricate camouflage patterns quickly and effectively with an airbrush or spray can. With designs in both 15mm and 28mm you can achieve some stunning results. Games Workshop is taking down names of those of you gamers out there who want to get a hold of their new Dark Elves for Warhammer as soon as they're available. Be the first gamer on your block to get these new figures when they're released. Legends Fantasy Violin is running a Kickstarter campaign to fund some more mood music for their gaming sessions. 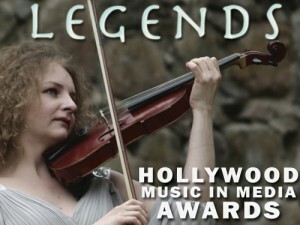 Nominated for Hollywood Music in Media Awards for her CD "Legends: Fantasy Violin" released this September - violinist Julia Okrusko is working on her new release, "Excalibur". The Kickstarter funds will cover recording, mixing, mastering, cover design, and the manufacturing of the discs. "Legends: Fantasy Violin" is a collection of 11 original compositions by violinist Julia Okrusko. fantasy and cinematic symphonic styles featuring solo violin, full orchestra and choir. Bombshell Miniatures has their new Girron and Linna models now available over in their webshop. Girron and Linna have been added to the online web store. They would make a perfect addition to pulp-styled planet based sci-fi games or even jungle fantasy adventures. Lancer Miniatures greatly expanded their 20mm WWII range with a whole bunch of new Russians that are available now. 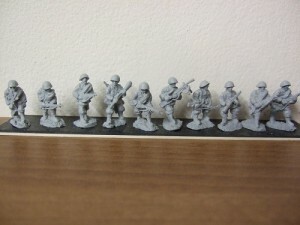 Have added 140 figures to my WW2 Russians, so most of my WW2 late war are now listed. Just 20 partizans to be listed, before I start looking at Desert war. GCT Studios is showing off the next model to be released for the Ito. It's Ito Masunagi, the "Red Death." Little is known of Itsunagi Ito’s enforcer. The “Red Death” as he is known in Okyo, named so for the mask that never leaves his face. Some whisper that Orochi’s gift has warped and distorted his face. What is clear is that his mind is definitely twisted. The apparent satisfaction he makes from cleaving his foes in half, or the calmness in battle reflects the actions of one who is teetering close to madness. Rumours and conjecture aside what is undisputable is that Masunagi Ito is a fearsome and brutal warrior on the field of battle. Gale Force 9 has launched their website specifically for the Firefly board game they've been working on. The website for Firefly: The Game is now live! 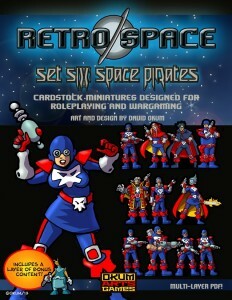 Grab the full rulebook, FAQ, and an additional introductory story card. Realm Fantasy Warfare now has a webshop all their own up and running. Go get yourself some minis direct from the source. The web store is open! If you have any comments or questions, do let me know. Either on here or send me an email. It's been a long 3 years but I finally have a product out there that I'm happy with. Hopefully there will be many more to come! 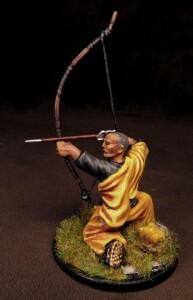 Steve Barber Models adds to their Samurai range with the release of their Kneeling Priest Archer figure. Model requires assembly. And was commissioned by and painted by C.Cerra. Graven Games takes a look at the Super Heavy Mortar tank by Bitspudlo and gives you their thoughts on the subject. Today we are excited to be reviewing the intimidating looking Hefaistos Super Heavy Mortar kit, kindly sent over to us from Bitspudlo. The Hefaistos is one of Bitspudlo’s range of 28mm armoured vehicle kits which is compatible with wargames such as Warhammer 40k. 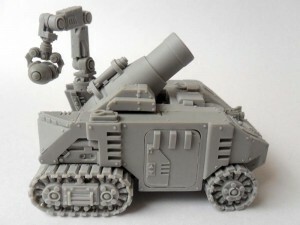 Bitspudlo also offer a whole range of other conversion parts and models for use with 28mm futuristic wargames, including everything from cyborgs and robots, to deamons and cyber wolves. Anarchy Models keeps going higher and higher in their funding over on Kickstarter for their HD Stencil System. Check out these new styles they've posted. Wow, our campaign is going from strength to strength, with a total of 29 designs unlocked now, simply amazing! Check out the pics of some of our latest updates. 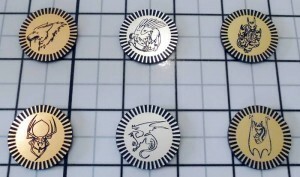 RPG Themed Poker Chips has made it to their funding goal over on Kicksarter. Now it's on to stretch goals for the next 35 days. RPG Themed Poker Chips are now fully funded and *will* be shipping to backers. We're now moving forward toward our stretch goals. We've designed these goals to be extremely achievable and, we believe, exciting. Now is definitely the time to jump on board! 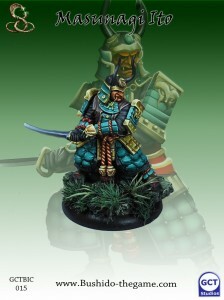 Eureka Miniatures has new 15mm British Heavy and Light Dragoon models available over in their webshop. 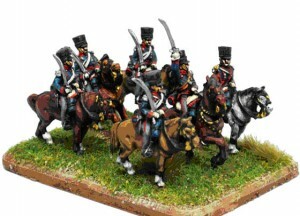 Tony Barton’s latest Waterloo releases are British Heavy and Light Dragoons. These represent the five British Light Dragoon regiments and 1st and the 6th Heavy Dragoon regiments. .
Next month’s releases will include The Scots Greys (in both covered and uncovered bearskins) and the Life Guards. 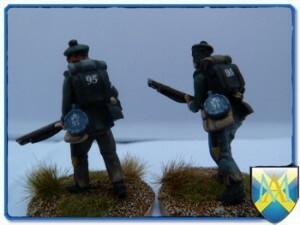 We have added the painted AB Prussians to the Gallery this month. As usual, they are a visual feast. Warlord Games is here once again to save your caffeine hands with some new infantry decals for various Bolt Action armies available now over in their webshop. 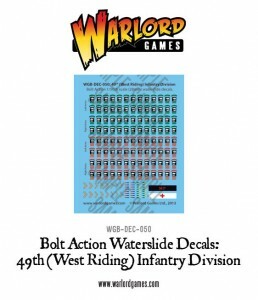 Out now we have 8 new waterslide decal sheets for creating authentic uniform markings on your Bolt Action infantry, including British, USA and Canadian transfers. Allowing you to really personalise your army and make it stand out from the crowd, each sheet has been carefully researched for historical accuracy – many thanks to R. Mark Davies for his advice on these. 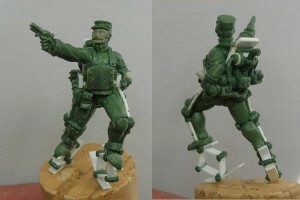 Alban Miniatures helps your caffeine hands with the release of some new British Rifle decals for your minis. Alban Miniatures British rifles back pack and canteen decals are in stock now. Each sheet contains 50 canteen decals and back pack numerals for the 95th regiment and 50 canteen decals and back pack numerals for the 60th regiment. What's more you get 2 of these decal sheets with each purchase. That's enough decals for 200 riflemen. Nice!